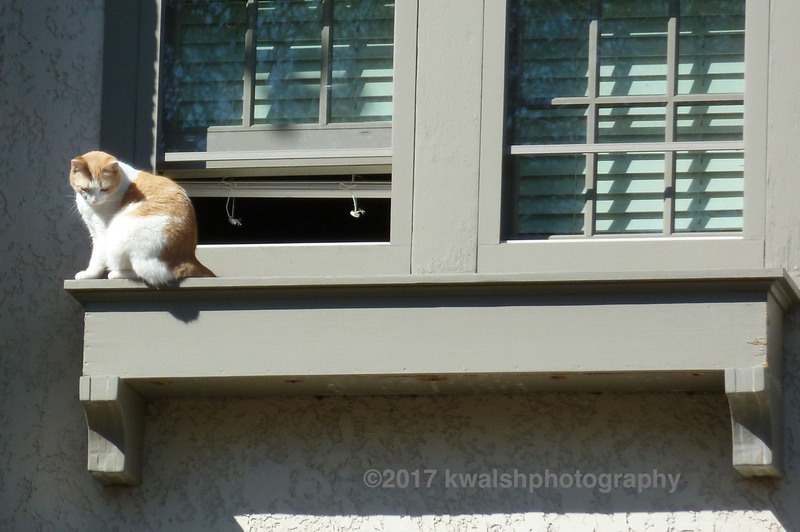 My friend and I watched this cat crawl out of this second-story window and perch itself on this ledge. I went up to the door and rang the bell to let the owners know. The only answer was the barking of a dog. Birds were landing in the hedge by the door and below this ledge. I thought the cat might jump after the birds. It didn’t while we were there. Not sure what happened after we left.